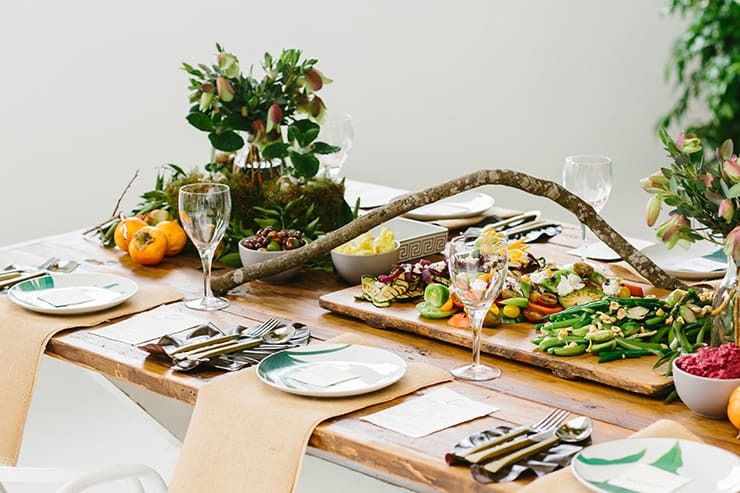 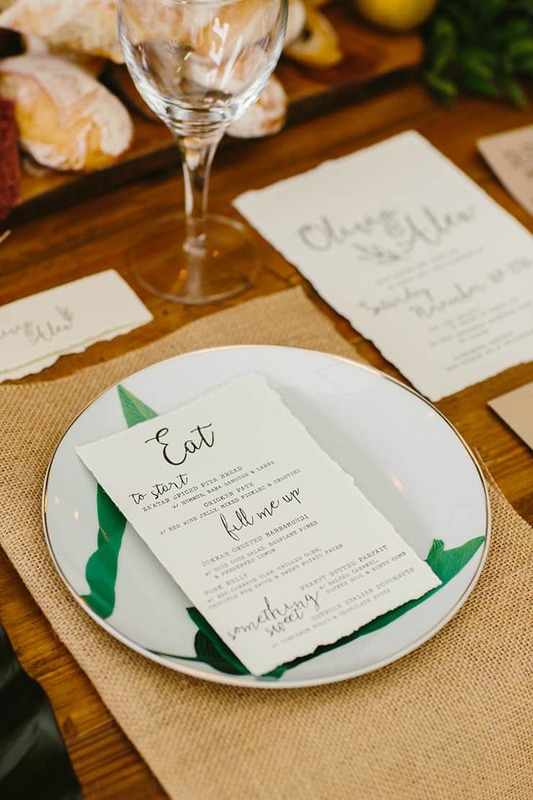 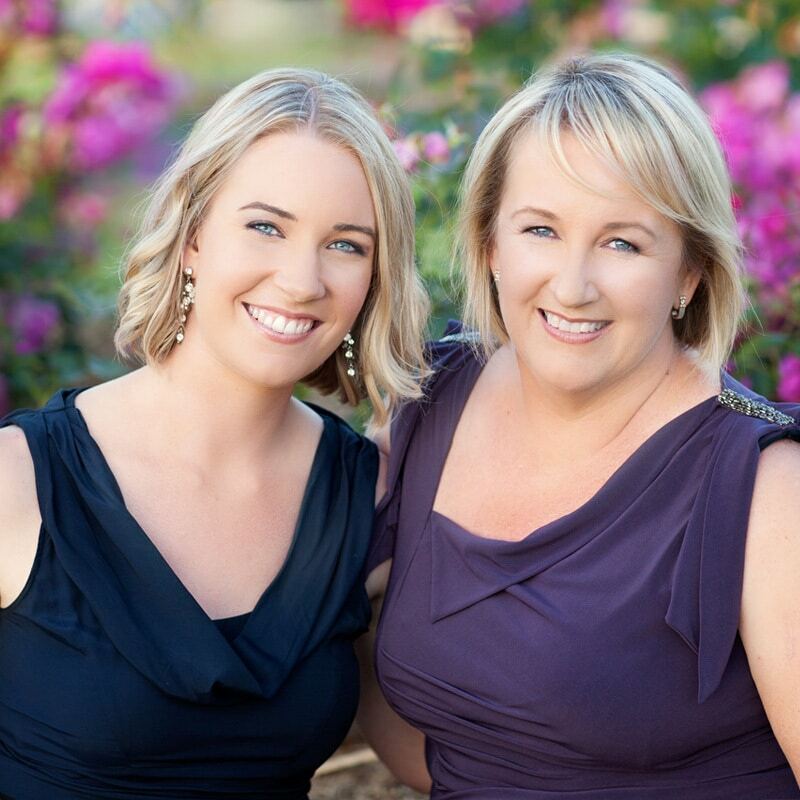 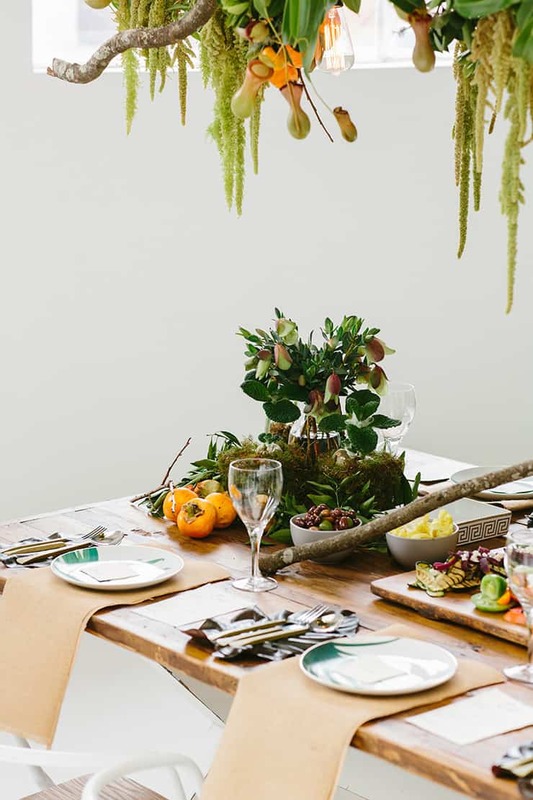 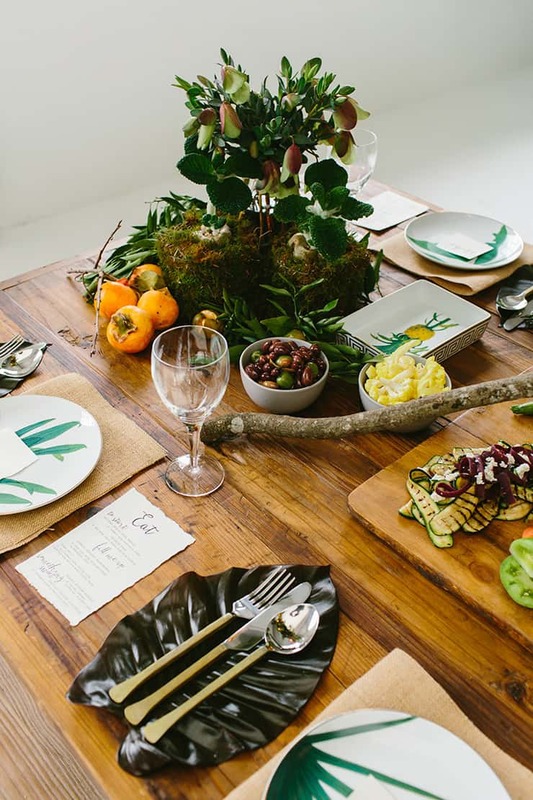 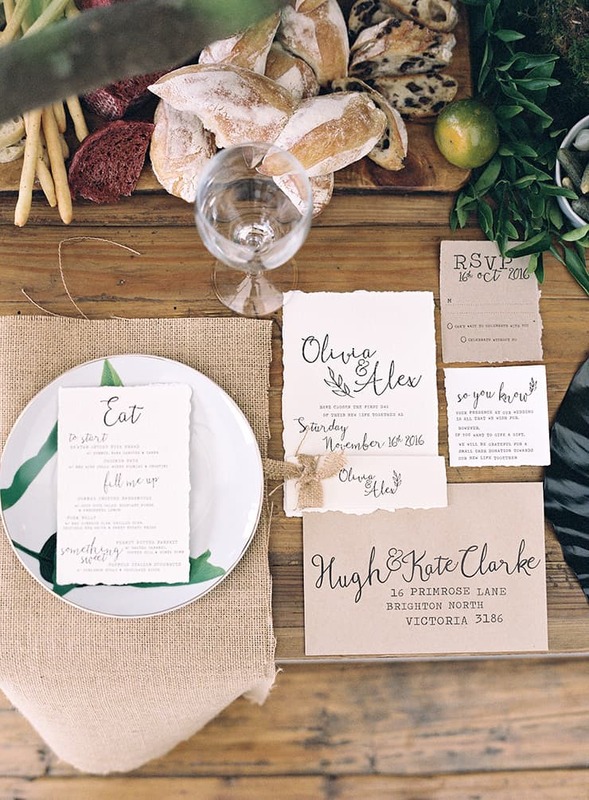 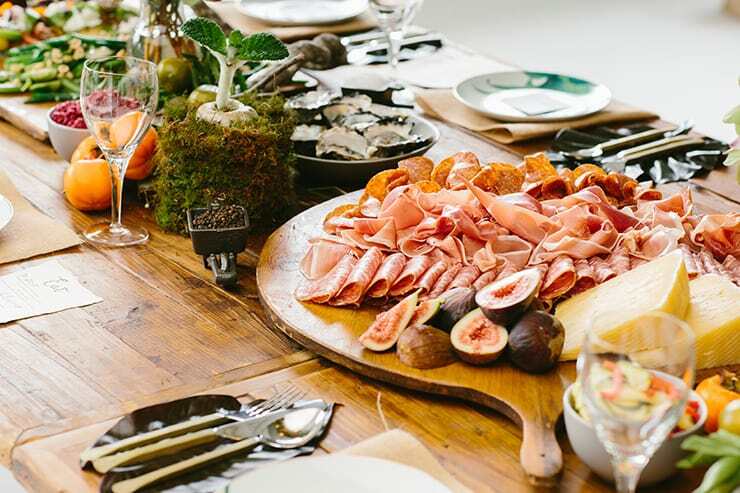 This wedding reception styling is a foodie couple’s dream! 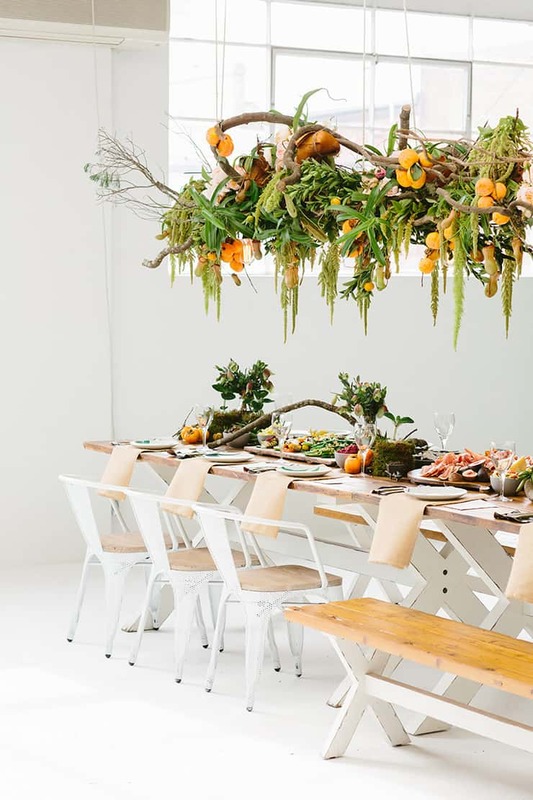 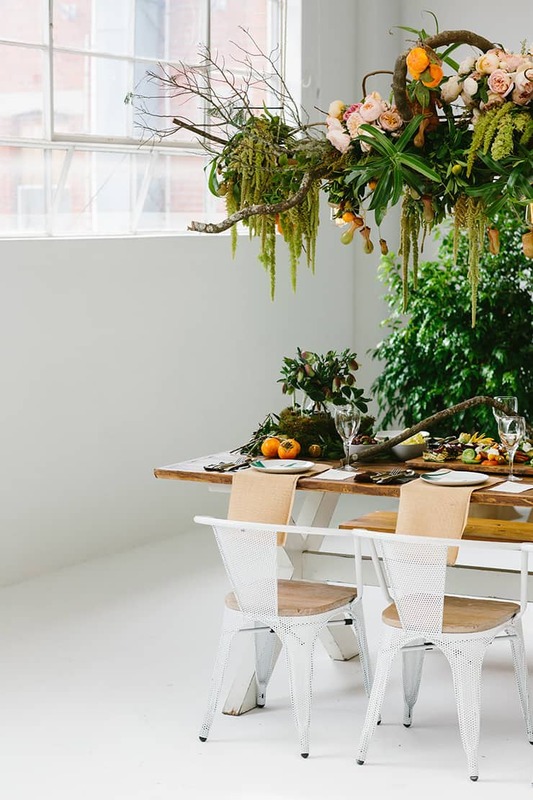 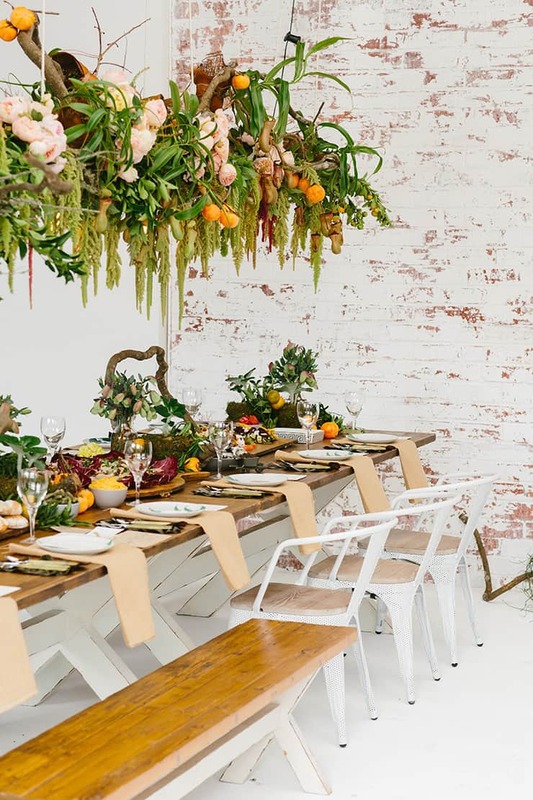 A fruit and floral chandelier floats above a long table filled with earthy woodland details, exotic plants and gourmet share platters. 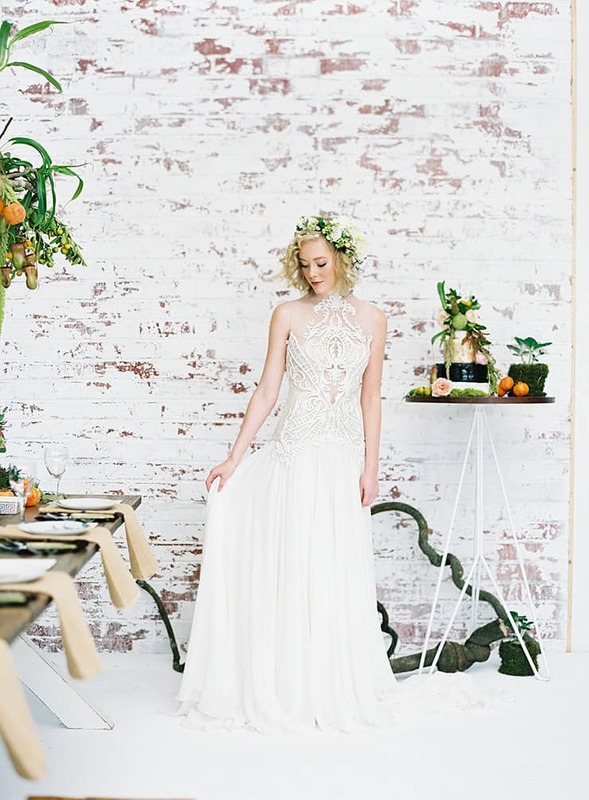 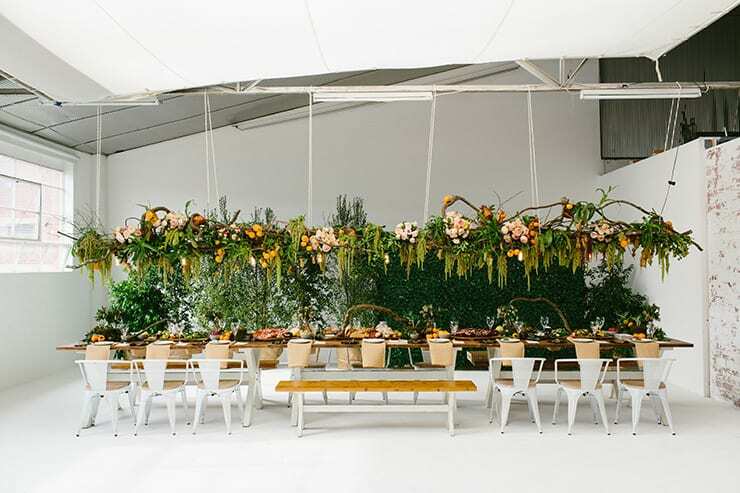 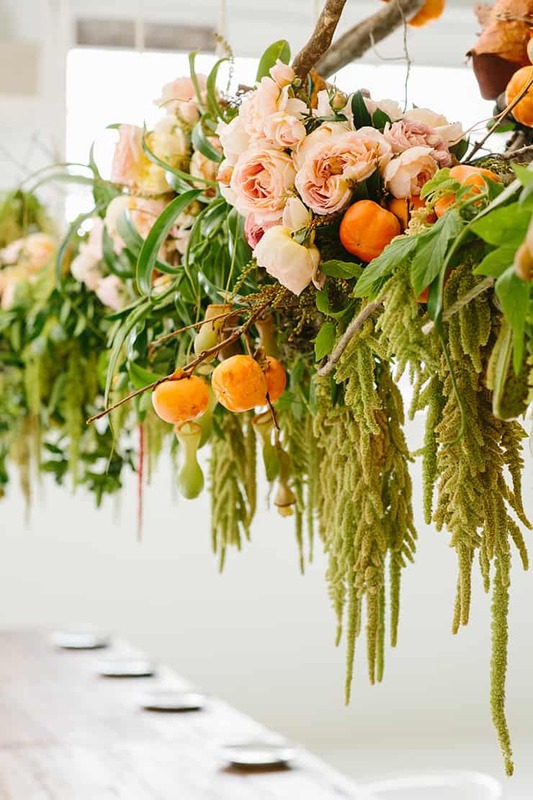 Mixed greenery and citrus pop against the modern warehouse backdrop, while romantic bridal styling fits perfectly with the whimsical feel of the space. 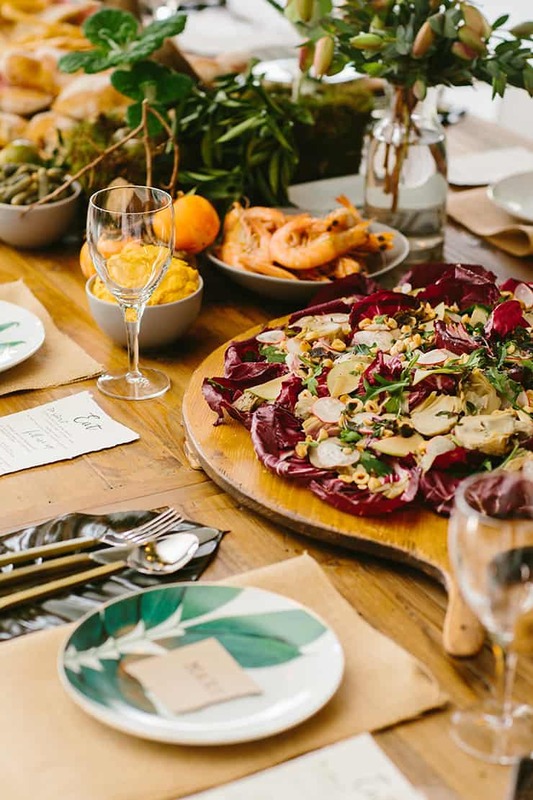 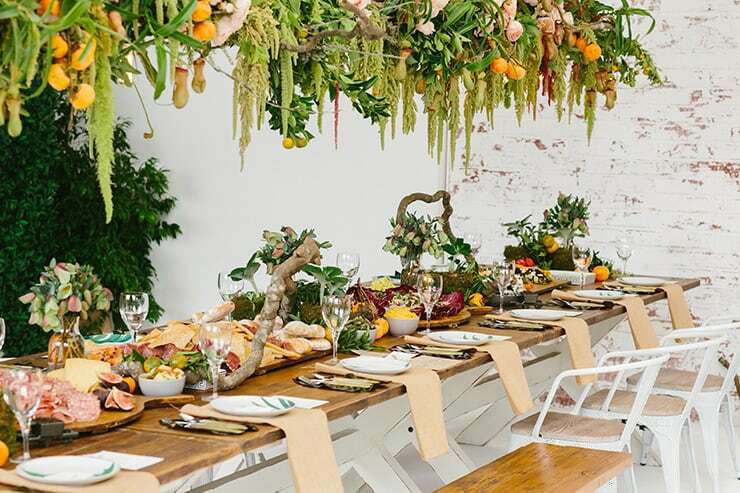 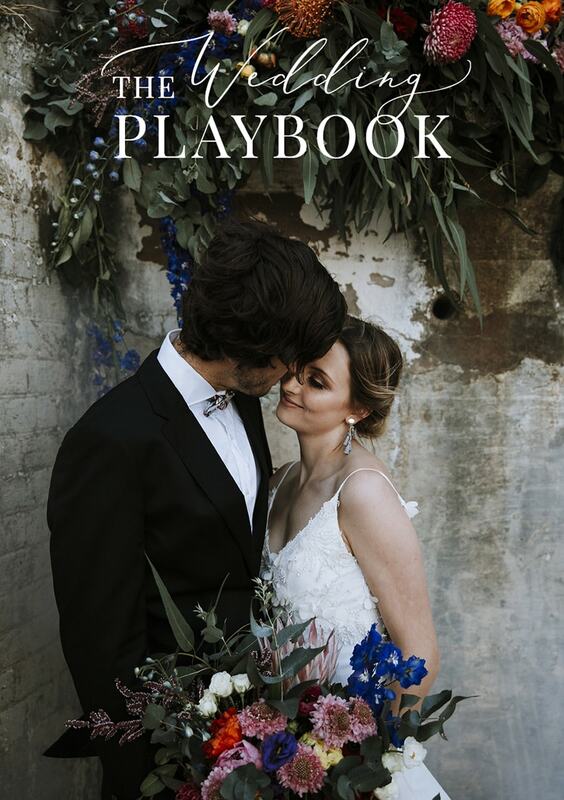 This intimate setting is a visual feast, featuring plateware painted with leaf motifs, undulating branches, incredible flora and beautifully presented grazing options – ideal for a relaxed and stylish celebration. 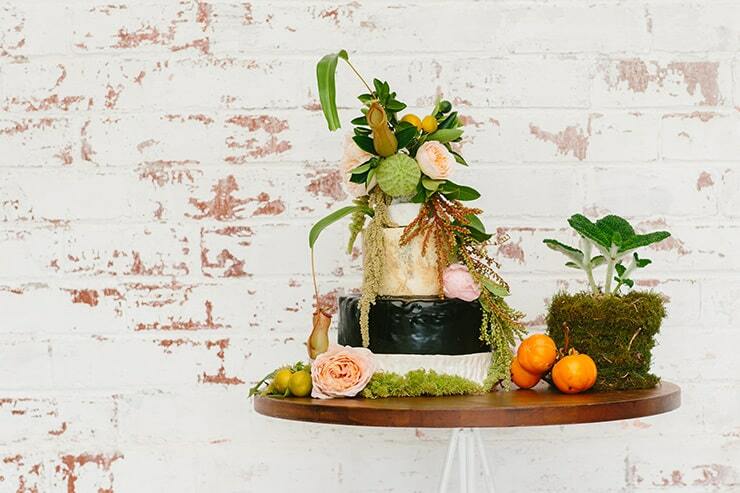 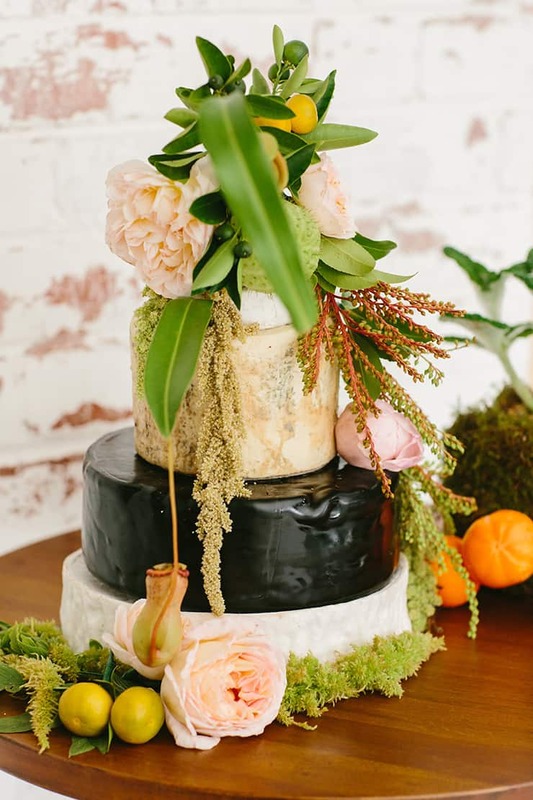 Moss covered pots keep the look organic and ‘forest floor’, while oil-black leaves cradling cutlery complement the dark rind in the cheese wheel cake to follow. 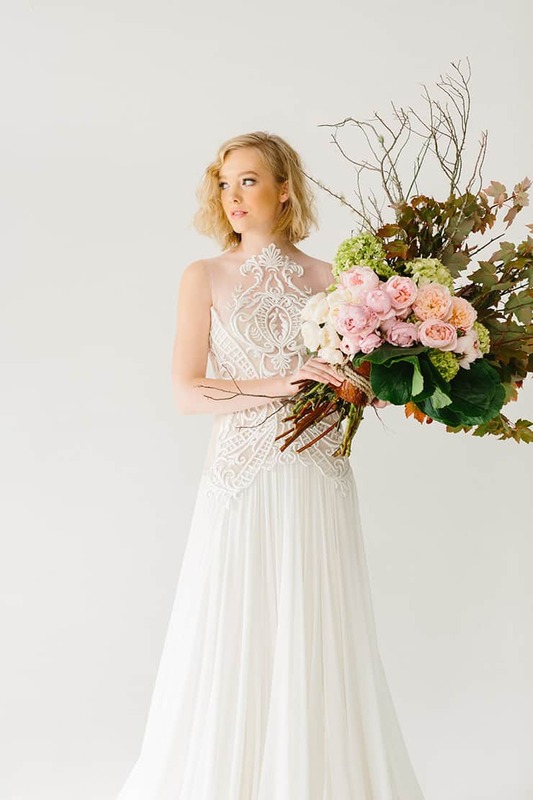 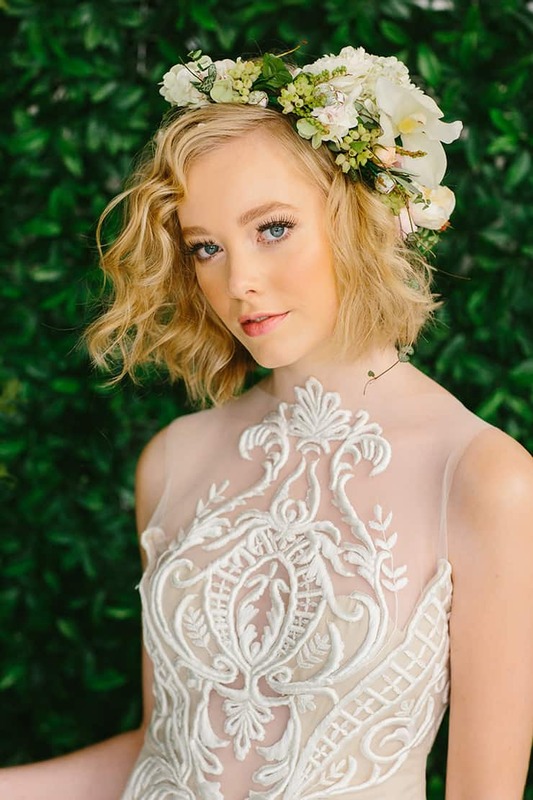 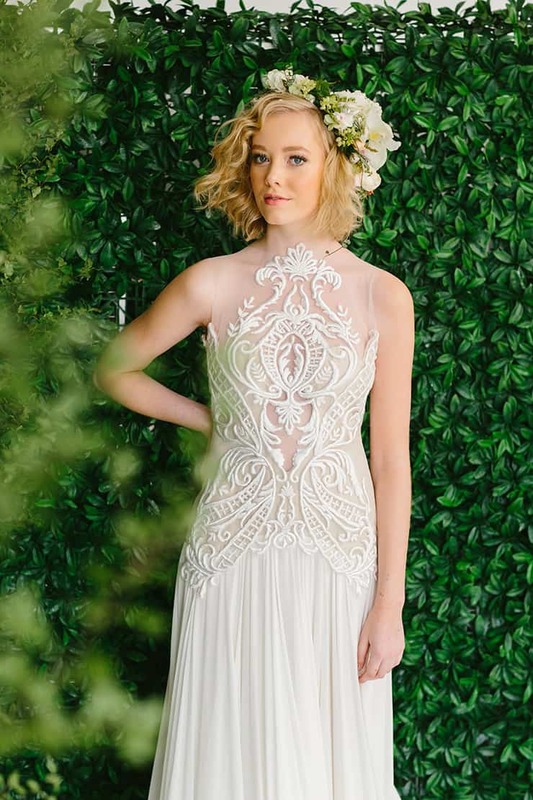 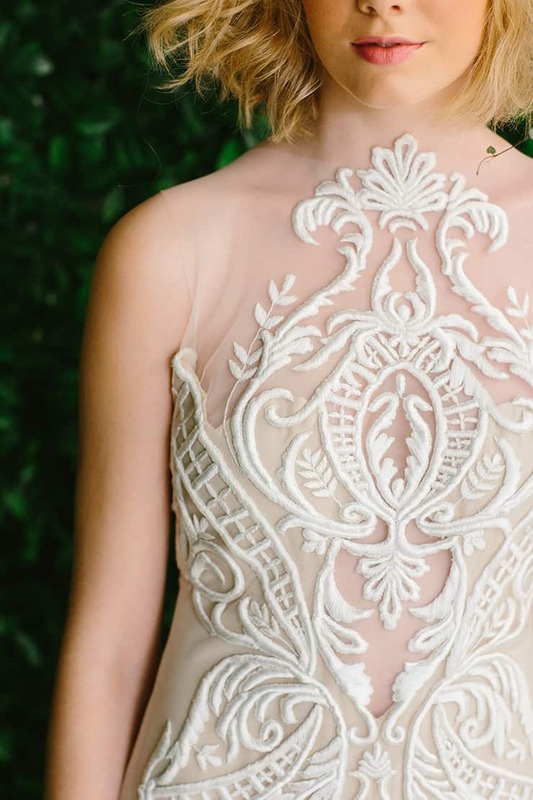 Whimsical and romantic, the intricate illusion neckline on this chiffon-skirted wedding gown pairs beautifully with a soft petaled flower crown. 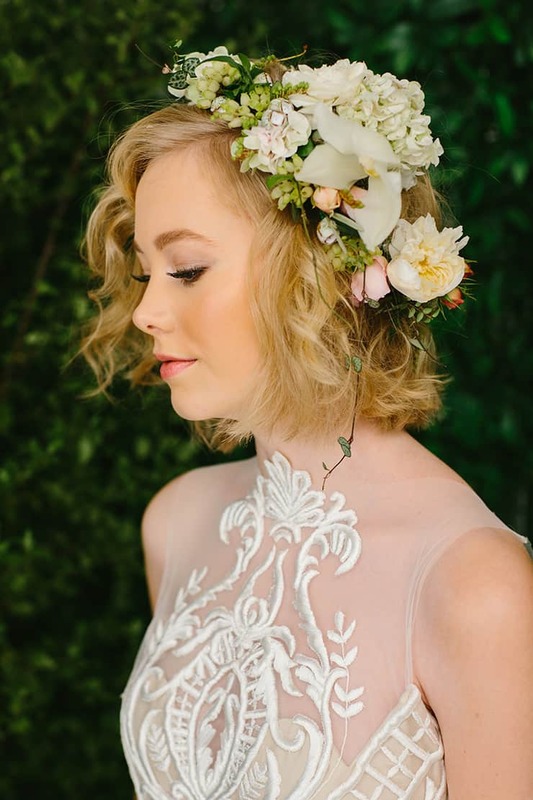 Dewy makeup, a creamy pink lip and hair in textured waves finish this effortlessly fresh look.